See You Behind the Lens... : Merry Christmas to All! 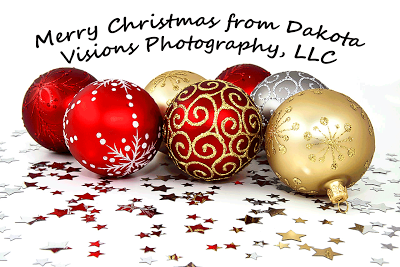 A very Merry Christmas to all - from all of us at Dakota Visions Photography, LLC! From our family to yours, we wish you a Merry Christmas and a Happy New Year! Leading Lines and Hoar Frost - Oh My?! To Border or Not to Border...That is the ??? ?